Learn to tailor your resume to the position desired. 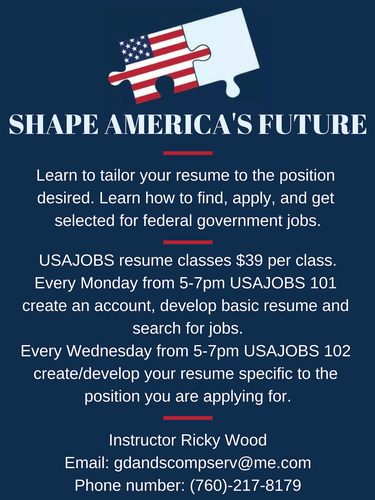 Learn how to find, apply, and get selected for federal government jobs. USAJOBS resume classes $39 per class. create an account, develop basic resume and search for jobs. create/develop your resume specific to the position you are applying for.